As an Orff Schulwerk teacher, I know how hard you work to develop student-centered, creative lessons for your students every day. 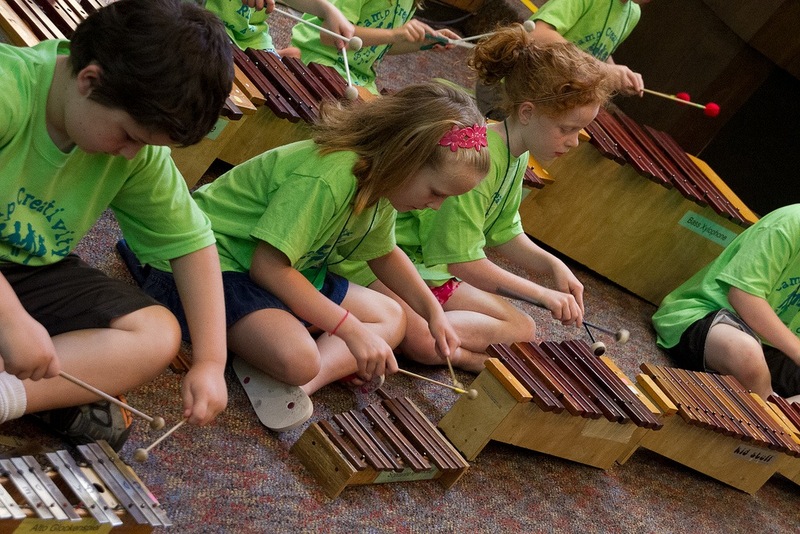 Two things I loved about teaching with Orff Schulwerk: seeing my own ideas coming to life with the students, and even better, seeing the students’ ideas take over and guide the learning! There were also some things I didn’t “love” about teaching. One was documenting my lessons and assessments. I never quite felt comfortable teaching from any one textbook, as the pace of my classes never fit the perfect model. For assessment, I would rather be “in the moment” with the kids, giving them direct and immediate feedback to improve their skills, than standing aside with a gradebook writing down scores. I hope that Unison.School can make a few “less exciting” parts of your job easier, and give you more time to focus on creative student engagement. To get started, register for a free account, and follow my walkthrough video, or just start playing with the free tools! One last thing. If you’re stressed out this last week before winter break, try sharing my Jingle Bells lesson with your classes! I’ll try to add more interactive video lessons in the near future. I’m always open to suggestions and feedback to make Unison.School serve you better. 你好 from Shanghai and Taipei! I just returned from a trip to these vast cities on the other side of the planet, where I met with teachers and staff from the Motif Music Company to help them design curriculum for their teachers and the schools they work with. Motif offers marching band and musical theater classes to public schools. I had never seen a model like this before, where the company offers enrichment classes to the schools, but the classes were during the school day! I also got to visit an after-school program in Taipei that included marching band instruction from the age of four! My initial assumption was that such training must be boring and/or too structured to allow students to learn creatively, but when I observed a pre-school class, I found it engaging, student-focused, and varied, including movement games, singing, and playing glockenspiels. When I saw a performance of slightly older children on mallet percussion, I was very impressed with the level of skill. Seeing education outside of the American model allowed me to rethink many things that I normally take for granted. For example, I think many American school music teachers make assumptions on what and when students can learn that are based on the lack of musical experience before the age of five. When you think about all the research about how important early childhood music is, the concept of a child having little or no musical experience before age five is tragic and criminal. Yet, because our system of schooling starts at this age, and our culture has been moving further and further away from music made in the home, this has become the norm. This isn’t new information for me. My wife is a Suzuki teacher, and my son started cello instruction at the age of 3. I have many friends in the Early Childhood Music and Movement Association, Music Learning Theory, and Dalcroze worlds who have done wonderful work with preschool children. But unfortunately, no one has created a society-wide system to address the gap. Another new perspective for me was the joint private/public partnership that Motif’s music classes represented. I am a second-generation public school teacher and strong supporter of our teachers’ unions. I served as a building representative and on the negotiations team of the Waterloo Education Association for several years. So the concept of non-district teachers coming into my school and teaching enrichment classes is troubling for several reasons. First, as private company employees, these teachers don’t have the same protections that unionized teachers typically enjoy. Second, this can be seen as a form of “outsourcing”, and is potentially taking away from the positions of traditional teachers. The history of privatized education in America is full of low-paid staff, poor-to-average student outcomes, and for-profit companies making money at the expense of children’s education. After seeing the work that Motif was doing, however, I see that there is something positive about the ability to design, implement, and experiment outside the structures of a typical school-teacher’s day. Specifically, Motif takes the time to train their teachers on a method and curriculum, and keeps track of their progress. I can’t think of a single administrator in public schools that I’ve worked with that really ever understood my curriculum, and I know of too many teachers who basically stop pursuing professional growth when they graduate with their bachelor’s degree. What if we had a system where music teachers across multiple districts were supervised and trained by a music person? The quality of teachers might actually improve. Private or public, I think the goal needs to be on quality education for all children, which means highly-trained teachers teaching with clear goals and creative, student-centered lessons. Before I left for Asia, I attended the joint First Iowa Orff and Augustana Orff workshop with Doug Goodkin in Iowa City. I’ve been fortunate to see Doug teach many times, including during my Orff Schulwerk teacher apprenticeship at the San Francisco Orff Course. He has decades of experience in creative music making and teaching around the world, and is also a very insightful philosopher with much to say about the human experience. If you ever have the chance to see Doug speak/present, do it. If not, buy one of his fabulous books. One thing that Doug spoke about was the negative effect that ubiquitous technology was having on our society and children. He proposed that drumming, dancing, and other forms of music-making were an antidote to the underdeveloped motor and social skills that came from staring at a screen too long. He reminded us that in cultures such as the villages of Ghana that he has visited, children learn music as part of everyday life, and are constantly active and involved. Asking a Ghanaian if they drum or dance is like asking someone if they walk or speak. Of course, I completely agree with the dangers behind modern technology. Even before the smartphone boom, I saw how recorded music technology over the past century has largely moved our society from music makers to music consumers, and the myth of “talent” has grown with the increasingly popular view of music as a specialized profession, rather than a form of human communication available to all. (This is also connected to the lack of experience young children have to music as mentioned above). Yet I also know that technology can be a tool to enhance learning. It can take something boring, such as memorizing facts, and turn it into an interactive game. My vision for Unison.School and other music education technologies is to offload some basic learning and assessments to digital tools, thus freeing the music teacher to have more time to be creative with students. Like it or not, the future will be full of technology, and we need to discover ways to harness its advantages, while avoiding the pitfalls. Whether it’s the structure of schools, the influence of society, the abilities of students, or the influx of technology, being a music teacher in the 21st century is going to be all about change. I’m proud to be a lifelong learner, and hope that I can continue to help other teachers tackle the issues that arise!